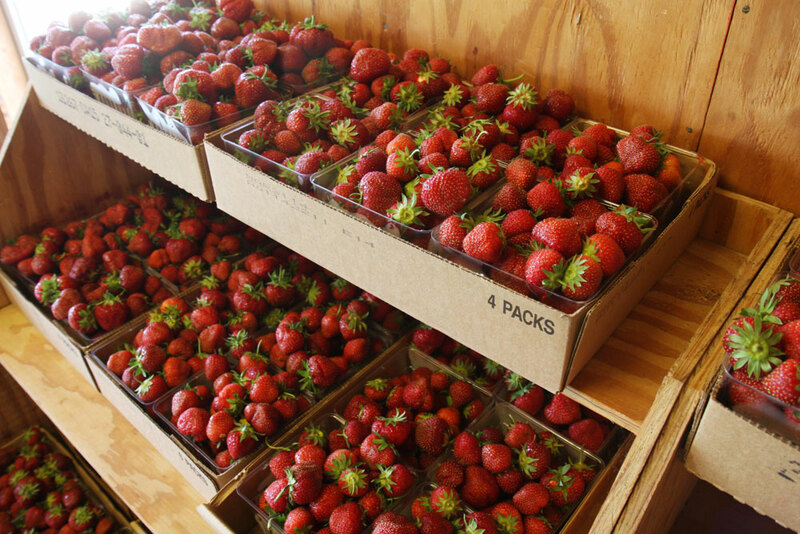 Step 1: Check the DAILY UPDATE for daily strawberry availability and farm hours. 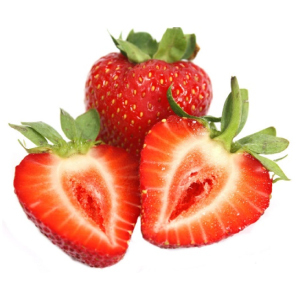 Step 2: Call 608-835-5871 between 8:00 a.m. & 3:00 p.m. to order your strawberries. Step 3: Pick-up your strawberries at your scheduled time. PLEASE NOTE: To ensure Carandale Fruit Farm quality, orders and pickups are required the same day. Give your strawberries TLC and save their delicate flavor and precious vitamin C. Refrigerate fresh berries in shallow containers as soon as you pick them up. Wash berries in cold water only when you are ready to use them. Do not allow berries to soak. Berries stored with stems stay firm and retain their vitamins longer than those without stems. Remove hulls and spread on absorbent towel until dry. For long-term storage, freezing is recommended. Fruits retain more nutritional value by freezing than by any other method of preservation. Berries can be frozen and safely kept for up to 1 year. Use quart or pint freezer containers or place the equivalent quantity of berries in heavy plastic bags. Berries may be sliced, mashed or kept whole. Pack 6 parts berries to one part sugar. Honey may be substituted for sugar at one half the amount of sugar. Owners Method – Hull berries, don’t wash. Put into gallon freezer bag orientated in a single layer and freeze on shelf… berries will freeze individually for ease of use, while minimizing freezer space. Tray Pack - spread a single layer of fruit on trays, freeze and remove. Package frozen berries and return to the freezer. Syrup Pack - pack whole berries in container, cover with a mixture of equal parts sugar and water. Freeze. Slowly defrost in the refrigerator to retain better shape. Never thaw under running water or in the microwave. Strawberries are not only delicious but they are good for you. They supply vitamins A and C and calcium. One cup of uncooked berries is a dieter's delight at only 55 calories. We space our rows 40 inches apart center to center, but only allow a 10-inch plant Row width. The 30-inch no-plant space between rows provides walking aisle space for pickers and good air movement, which reduces disease issues. It also reduces competition for sunlight, water and nutrients, which results in larger and better quality fruit. During fruiting, the net aisle space between rows is much less because the leaves and fruit clusters from adjacent rows occupy much of the space. 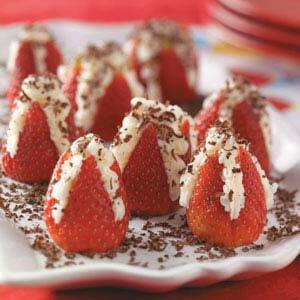 Strawberries may be the most widely adapted fruit species on earth. They have evolved and adapted in the wild from equatorial to arctic regions, from saline beaches to Alpine environments. Characteristics vary widely, but there are two basic types, day neutral land seasonal bearing. The basic difference is day neutral types can set fruit buds independent of day length and therefore exhibit “ever-bearing characteristics”. This is the type shipped in from Florida, California and Mexico nearly year round. Seasonal bearing types only set fruit buds during short day conditions, generally 12 hours of daylight or less. Consequently they set buds in the fall and produce one concentrated crop of fruit in later spring, early summer. These are the “June-bearing” types that we grow for local consumption in our temperate climate. Crop potential is determined the previous fall, so it is very important to have healthy plants in the fall and protect them over-winter. During most winters with normal snowfall for insulation against the cold, plants would not be damaged. If damage does occur the plants usually recover, but dormant fruit buds in the plant crown can be damaged or destroyed, even if the plant survives. We apply approximately 6 tons of wheat straw per acre in late fall, early winter as an insurance policy against winter injury. Timing is critical because plants should be totally dormant before application. Mulch also protects against freeze/thaw injury to roots in early spring by keeping soil temperatures more constant. This can be critical in our clay-based soils, where high water retention accentuates root damage when warm day temperatures thaw frozen soil and cold night temperatures re-freeze it. Timing the removal of mulch from over the plant row in the spring is critical. Removing too early could subject plants to freeze/thaw damage and other stress factors. Removing too late can reduce plant vigor and yield as plants try to grow under the mulch using stored energy reserves. Mulch is never removed from the field, it is moved from over the plant row to the aisle between rows where it continues to serve as a weed barrier, moisture retainer, soil coolant, fruit rot barrier and keeps the fruit clean for harvest. After harvest the mulch is tilled in as organic material and soil conditioner. Wild species of strawberries throughout the world offer a huge repository of genetic material for plant breeding and cultivar selection. Unfortunately, most domestic varieties originate from only a small portion of this genetic material with emphasis on size, appearance and yield. There is a great need to introduce sustainable characteristics such as disease and insect resistance as well as for adaptability and nutritional content. Introducing sustainable characteristics throughout the food chain is an essential element for reducing global warming. We, as both growers and consumers, are fortunate to have one of the premier strawberry plant breeders in the Midwest located right here in Wisconsin. 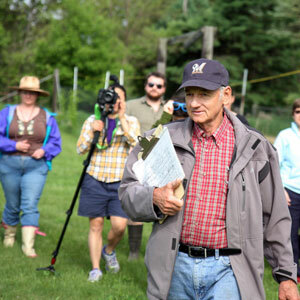 Dr. Brian R. Smith, Professor of Horticulture and State Extension Fruit Specialist at UW-River Falls, started the fruit research program at River Falls in 1990. This relatively new program is on the cutting edge for sustainable plant breeding. He is poised to introduce new strawberry cultivars with a diverse genetic background. This vital plant-breeding program is very efficiently run and has the administrative support of the UW system, but is in desperate need of line item budgeting to achieve long-term goals of sustainable plant breeding. As consumers of the future, it is important to advocate for and support a legislative initiative to provide a reliable continued source of funding.